You may have noticed a special Canadian wine in March WineCollective packages, Liquidity Chardonnay! 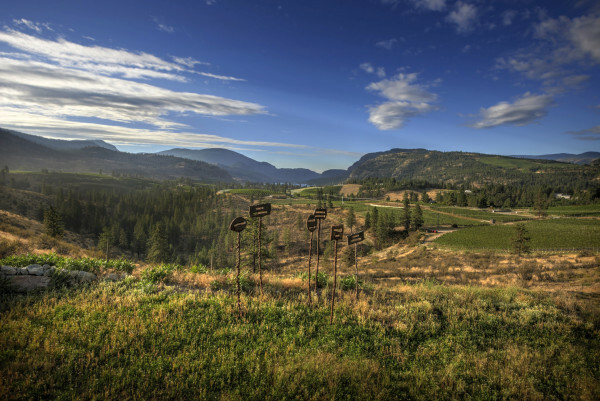 Nestled in the Okanagan Falls, between Lake Vaseux and Skaha, the land where Liquidity Wines now sits has been supplying quality fruit for eighty years. In the 1930’s, Charlie Oliver developed Oliver Ranch where he planted over 110 acres of cherry, peach, apricot and pear trees. His development of irrigation systems still feed surrounding vineyards to this day. A pioneer in the Okanagan, it is said that in it’s day, Oliver Ranch was the largest orchard in the British Empire. Oliver Ranch was divided and sold in 1971. Blue Mountain’s Ian Mavety farmed the property and a 30-acre portion, planted to German varietals, became today’s Liquidity Wines. A subsequent owner built the Santa-Fe style home located on the property. Because it sat on a hilltop and was opened to panoramic views, it was frequently mistaken for a winery. In 2008, a group of business men and wine enthusiasts led by Ian MacDonald, renovated the Santa Fe house to a tasting room and Bistro, which was completed in 2013. In addition, MacDonald and his team built a modern fully-equipped winery in time for the 2012 vintage, though in previous years, Liquidity made small volumes of their wines at another winery and sold their remaining fruit. Through out the 90’s, all non-vinifera vines were replaced with current varietals, Viognier. Chardonnay, Pinot Noir, Pinot Gris, Merlot, Cabernet Franc and Cabernet Sauvignon on the 30-acre plot. 10,000 years ago, glaciers covered the Okanagan landscape and deposited sand and gravel soils. These mineral rich soils are not only an ideal growing condition for the vines, but they also translate into the character of the wines. All Liquidity wines are estate grown and hand-harvested. Only sustainable viticultural practices are suitable for the two Liquidity vineyards. The Liquidity Chardonnay happens to be a favourite among staff and Liquidity fans. A few weeks ago, the wine received a Silver Medal at the Chardonnay du Monde competition in France. The juice was racked to French oak barrels (20% new) to undergo fermentation. Partial malolactic fermentation followed and the wine was aged on lees, with stirring for 11 months. Liquidity’s Bistro is a modern, Okanagan and Pacific North West inspired restaurant that not only uses fresh local produce, but also ingredients from the chef’s own garden. Only open seasonally, the food at Bistro is simple, clean and fresh. As the second pillar of Liquidity, Erin stresses the importance and relationship between food and wine. For the 2013 Chardonnay, she recommends Bistros’s Oliver Road 17 Char with Smokey Puttanesca Butter, Roe, Ancient Grain “Risotto” and Preserved Lemon Vinaigrette. From the very beginning, Ian MacDonald had always been passionate about art, design and the conversations that they begin. Around Liquidity’s grounds are various pieces of work that belong to Liquidity and Ian’s own personal collection. You can find descriptions of all the pieces at Liquidity on their website. From July through October, on the 2nd Saturday of each month, Liquidity will be hosting their second annual Artist Lecture Series, featuring many Canadian artists such as Bobbie Burgers, Jeff Burgess and David Burdney. 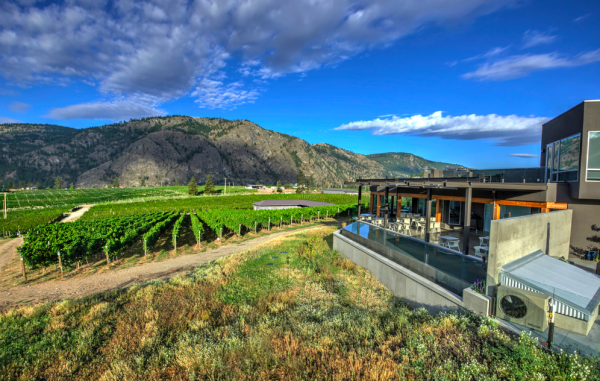 As always, we encourage our members to head out to Canadian wine regions, including the Okanagan Falls! Liquidity Wines would love to have to visit their tasting room, Bistro and inviting, art filled, grounds. 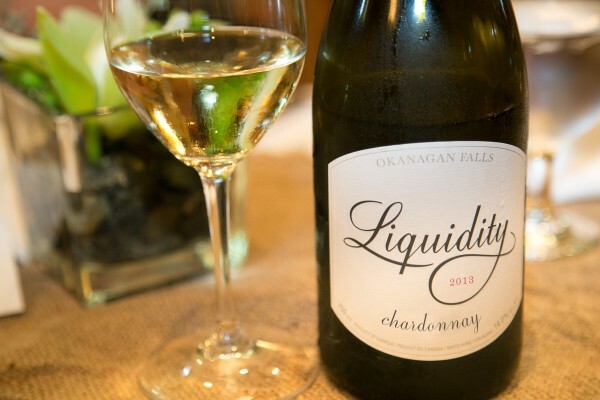 Visit Liquidity Wines and give them a follow on Twitter, Facebook and Instagram for information on upcoming events at the winery, and let us know how you enjoyed the 2013 Liquidity Chardonnay. Stay tuned for more Liquidity Wines! Rate, comment and buy more on the members only, online store!